Give free delivery on all orders. This may sacrifice margin but it removes one of the biggest barriers to impulse and gift purchases. Or, you could use free delivery as an average order value hook. Give your site a festive design theme to bring Christmas to life and make the site more fun. Change the homepage and Christmas landing page colour schemes to traditional festive colours (gold, silver, green, red etc) and consider the use of a themed background (look at IWOOT for an example of using background design to frame the site). Create a main Christmas landing page that is themed and acts as a hub to all your Christmas products and content. This should be in addition to existing categories/landing pages and really sell your Christmas proposition. Put a list of text links on key pages for most searched for or bestsellers (IWOOT has this in the global nav and Argos have recently switched to a word cloud version on the homepage). Use a marketing promotion hook to get people to visit frequently to keep them engaged before they are ready to buy. This could be daily deals (with an RSS feed to encourage subscription) or a Christmas related content campaign e.g. Online advent calendar revealing a new offer each day, with images/music/video etc. Make it fun to visit your site. Put up Christmas trivia each day (e.g. Did you know? The most watched program on Christmas Day is Eastenders), use video to show off the fun side of your company (e.g. Team dresses up and recreates the nativity scene in the manger) – think laterally, be creative, have fun. Don’t assume that everyone who visits loves Christmas. Some people don’t celebrate Christmas, others don’t find it a season of joy – so make sure your site caters for them – try a cheeky “Don’t like Christmas? Then you’ll love our Christmas free zone!” with free content and special offers based around non-seasonal product. And here’s a nice dull, pragmatic tip: make sure all webpages you create are accessible and follow good practice for usability. Don’t get carried away with design and funky marketing and then forget to make the content easy to access, digest and act on. Be more aggressive on acquiring new customers in September and October, even if it means sacrificing the profit on their first order. You can then target these new customers in the run-up to Christmas – when average order values are much higher. If you can sell products in the last days before Christmas, you’ll be at a huge advantage. The experience days site Wish.co.uk targets last-minute shoppers by promoting evouchers over physical vouchers and giftboxes. It means that you can keep selling – to distressed customers – when the majority of your competitors can’t. Delivery is hugely important at Christmas. Make sure your last order date is prominent and consider including a countdown. Link this to a modal window that explains delivery time and cost, and clarify whether customers can deliver to the recipient’s address (with a gift receipt). Make your returns and exchanges policy prominent, especially if you’re extending it for Christmas. When shoppers are feeling stressed, the reassurance of being able to (easily) send back a gift can help capture significantly more sales. Customer behaviour is very different during Christmas. Traditional testing results may not hold and, more importantly, the results of any split-tests during this time may only be valid during the Christmas period. Highlight any gift wrapping options that will be available at checkout from the moment the user lands on the site. Don’t forget to put a strong follow up marketing plan in place. If someone buys over Christmas then target them again in the January sales. Send customers a voucher that they can redeem in January. Engage customers socially after their order but don’t spoil the surprise. Customers may be less likely to share the products that they bought, but you can engage them with offers or coupons to share with their friends. Plan for the unexpected. Have a plan A for when things go well, plan B creative/copy/pages for if the snow hits, or if you need to run an emergency sale earlier as you’re missing targets considerably, or if your key Xmas line sells out quicker than expected, or to react to competition or because some other event (think ash clouds) happens. Have a combination of marketing plans in place, to cater for unexpected spikes, dips and meanders of traffic through to your site. Affiliates over-performing? Make more of it. PPC under-budget? Increase bids, get those positions. Break out of your email plan if you have a flash sale or new best seller. Communicate with your customers but ensure your voice gets heard. Xmas could make or break your budget. Its a far easier conversation to have to have overspent your marketing budget and overachieved sales targets than not hitting sales because you didn’t react fast enough or limited yourself to planned spend. Over-plan your stock cover, even if you’re basing this on sound data from the last X years. Under-preparing (for example, we ran out of snow shovels at a previous company due to the snow hitting at the ‘wrong’ time for us) can mean you lose market share. Push the boundaries on your promotions and incentives. Don’t follow the crowd, understand your customer and why they’d buy with you. Rather than splashing a 10% off everything, offer cross-sell promotions such as 25% off DVD players when purchasing a TV. Then BOGOF on DVDs when buying DVD players… you can run a whole cascade of promotions to grab market share. Xmas can be the most difficult time to hold on to margin. Ramp up your customer support team. Each query is a potential sale. Give your advisers the tools to convert from web enquiries. Keep them in the loop on what you’re doing online, online exclusives, promotions, targeted landing pages. Each sale, whether online or contact centre is just as important to your business. So is getting feedback from your advisors to improve your online messaging. Are customers calling up to query your delivery times? Have a process in place to react to internal and external feedback and changes. The majority of retailers will have a big IT freeze in place before Xmas really kicks in, and for good reasons. But negotiate some form of flexibility for tweaks and improvements. Plan things ahead, of course, but also push your technical team to help focus on sales. Ensure you focus on bundles and gifting. Get stocking fillers in place, use incremental basket promotions (like get a set of cushions for £X when purchasing any sofa suite), merchandising your best selling, cross-category items together, create discounted bundles (Amazon do this really well), communicate this to your affiliates, update your paid search ads, experiment which how well gifting and bundles can perform for your business. Run affiliate promotions via offer codes. The big hitters will likely provide better coverage and support over Xmas for the best discount codes. Keep affiliates in the loop on your plans, and your changing plans to tackle Xmas. There is a big spike around Dec-Jan for discount code searches and your voucher code affiliates have a wider scope than you to capture additional sales. Ensure your key promotions and messages are included across your site. As you’re aware, customers arrive on your site via many different routes. Don’t let them miss your market leading offer by assuming they’ll see it on the homepage. Merchandise and promote as if each key department/category was a separate website. Sure it’ll stretch your merchandising team, but then you can always break it down by top departments/categories. Don’t forget Xmas Day! There’s a rising trend of purchases on Xmas Day – spending money, new laptop, iPad, phone – these are many reasons for customers to use Xmas day to shop online. Consider starting your post-Xmas sale on Xmas Day. Why wait for Boxing Day? Prepare to panic! Get your creative and promotions ready for a last minute push for Xmas sales. Don’t wait until a few days before. It may happen, it may not. Preparation is everything. Load testing. Given Christmas traffic levels, which can be concentrated around promotional activity, web sites need to be able to cope. Features which may perform well under normal loads may experience a tipping point as load increases where performance might suddenly become an issue, this is the period where you need 100% uptime. Even if your site stays up, any slow-downs will cause a drop in conversion; work out what is acceptable under extreme load conditions and then engage with a competent load testing company. If your site doesn’t perform as expected, there are ALWAYS things that can be done, for example tuning databases, switching off non-essential features or adding memory to servers. If load testing indicates that you may have problems, have a plan ready of what to do if it starts to go wrong in real life. Site stability. Customers are typically more time-sensitive at Christmas, they are less tolerant of any little niggles in your site. In the rush to get new features out before the Christmas code freeze, don’t forget all the essential parts of the customer journey. We all get hung-up on fancy new features, but consider whether it would be better to concentrate on that core journey, as that is all that customer will be using. Despatch and returns offer. Customers are incredibly sensitive to delivery and returns information at Christmas. If they don’t know that they’ll get their goods on time and can return them after Christmas if unsuitable. Give your customers as much flexibility as possible to fit around the busy pre-Christmas party season, for example, services like Collect+ or Shutl, delivering internet stock to your stores, weekend delivery. Consider extending your returns window to well in to January, customers need that sort of peace of mind. Companies are now using these services as key differentiators, I would expect that they’ll be rewarded with a conversion rate lift in the last few shopping days before Christmas. Contingency messaging. Related to the point above, it’s vital that you communicate clearly with customers when there are problems such as adverse weather. You may or not be affected, but customers will stop purchasing if they don’t think they’ll get their purchases in time. Ensure that your CMS is flexible enough to allow content to be changed readily by staff from home, should they be unable to get to your office, or the weather strikes out of hours. Even if you’re not affected, let customers know, otherwise they’ll assume you are and sales will plummet. Have creative ready to go, have the ability to email all customers with outstanding orders. Can customer service staff reply to enquiries from home, should their office be snow-bound? Make sure your site is mobile and tablet ready. We’ve seen major spikes in tablet use every Christmas since the iPad launch, are you ready this Christmas to take full advantage of that? Get testing on an iPad now, it’s not too late to make changes that will make the purchasing process easier. Pre-Christmas, customers will be hitting the high street and will have a smart-phone in hand. Can they check your store’s stock before they get there? Could they reserve the stock? Finally, not conversion related, we should thank staff for their hard work over the year and let them spend as much time with their families as we can. 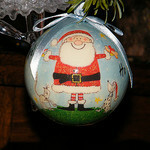 Bauble image credit: chrissatchwell via Flickr. Despite challenges and turbulence, adoption of real-time bidding (RTB) is growing and expectations are still high that RTB will be able to deliver on its promise. One of the big questions that lingers, however, is just how big an impact will RTB have on the online advertising ecosystem outside of display. Take video, for instance. Skeptics make interesting points about RTB’s potential shortcomings in the video space and suggest that RTB may not be as applicable to video. Are the skeptics right? That remains to be seen, but in the meantime, RTB continues to make inroads in video. The latest example of that: yesterday VEVO announced the launch of an RTB platform that it will use to move unsold pre-roll ad inventory. 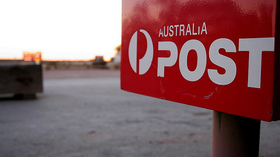 Australia Post will be investing $2 billion dollars into modernising parcel delivery, improving retail networks and launching a new digital mailbox in an attempt to future-proof the business and reap the benefits of the digital economy. This will be the single largest investment in the history of Australia Post and it comes on the back of the increasing popularity of online shopping, which has raised the demand for package delivery to an all-time high.